Maureen practices holistic physical therapy specializing in Structural and Energy Balancing and Integrative Manual Therapies, including osteopathic techniques of Craniosacral Therapy, Visceral, Neural, Vascular, Brain, and Musculoskeletal Manipulation. She has studied extensively over 30 years with many influential teachers including Jean-Pierre Barral, DO, PT, John Upledger, DO, Bruno Chikly, MD, DO and Franklyn Sills, MA, RCST. 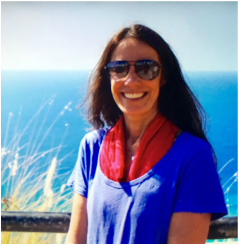 ​Maureen's work includes a hands on manual therapy approach of deep listening to the body to determine where the involvement and dysfunction is. This often may include, various structures in the body, such as the organs, nerves, blood vessels, bones, fascia and muscles. The goal is to understand how the body may be adapting and compensating. It is important to get to the root of the issue to increase function and mobility and decrease pain. This work assists with change and re-balancing the whole body. "It is an honor to work with the innate wisdom of the body. In listening to this, true healing occurs." Lark Fox is an intuitive healer and energy worker. With 20+ years experience, her specialties include energy healing, animal communication, crystal chakra balancing, plant medicine, Maya healing, shamanism, aromatherapy, yoga, ceremonial arts, goddess culture, priestess arts and botanical skincare. During an Intuitive Energy Healing Session, we take a look at the larger soul perspective as we navigate and clear layers of energy. We discover what may be holding you back and gain insight on your healing path. This gentle hands on, relaxing technique can help to decrease pain and bring more clarity and ease in daily life. Most sessions are in person but this work can also be done without the constraints of time and space and long distance work is available via phone or Skype. Facials and body treatments, nourish your body and skin with deeply relaxing touch, delicate and luxurious scents, gentle healing masks, soothing sounds and plant based products. 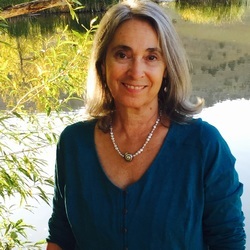 ​Janet began studying Rosen Method and massage therapy 30 years ago and she continues to be inspired by the beauty and simplicity of this profoundly transformational work. She includes biodynamic craniosacral therapy to complement sessions. Using hands that listen, she focuses on chronic muscle tension and stress reduction. As relaxation occurs, feelings, memories and attitudes emerge allowing tension and old patterns to be released. "My interest and love of this work is to witness the unfolding of each person’s journey of self discovery and connection." Lisa celebrates over 30 years of practice in the field of soft tissue bodywork and offers facilitation for the body's innate and remarkable capacity to heal. Lisa is a graduate from the Rolf Institute™ of Structural Integration, Boulder School of Massage Therapy, Colorado Cranial Institute, Rocky Mountain Healing Arts Institute and the Trager Institute. She has also studied extensively with Donna Eden's Meridian balancing, Paul St. John's Neuromuscular Therapy and Eurythmy movement based on the work of Rudolph Steiner. Please call if you would like a complimentary meet and greet consult.